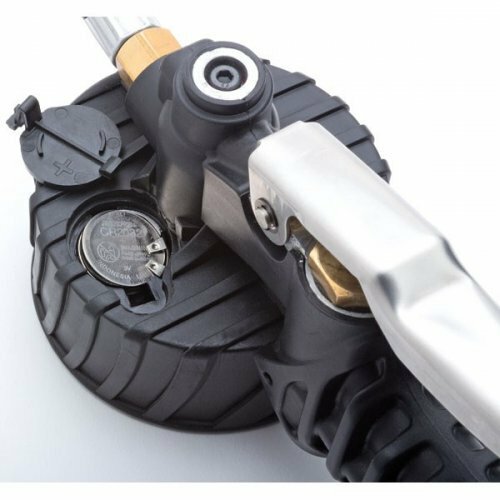 The Eastwood Digital Tyre Pressure Gauge/Inflator is engineered and built to provide rugged reliability with a high degree of accuracy. Precise pressure readout in increments of 0.1 deliver the close tolerances required in a racing application. The full rubber encapsulation provides shock proof protection and comfortable ergonomics. 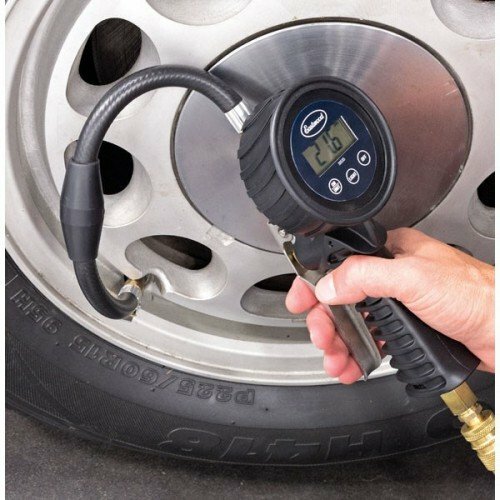 Accurately read tire pressures in .1psi increments, even at levels below 10psi. 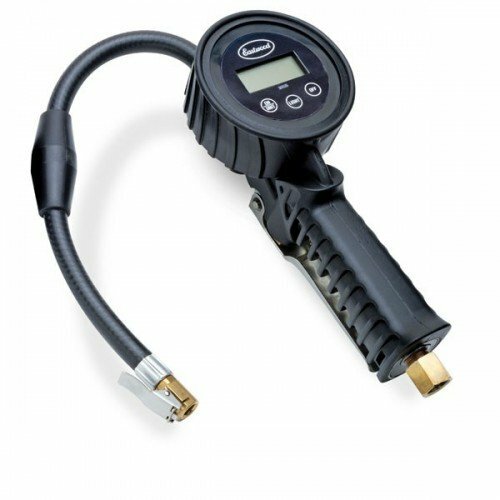 The Eastwood tyre pressure gauge gives readings to 1/10th of a psi, plus it will provide accurate readings from 100psi all the way down to single digit pressures. If you drag race, rock crawl, mud bog, or race off road, it is essential to get accurate low pressure readings. It’s also great for reading low pressure air levels in motorcycle forks. If the reading is too high, there is a simple bleed to let air out too. The back-lit digital display even lets you take readings in the pre-dawn morning, in a darkened trailer, or at night in the pits.